Austria-based gaming equipment maker and operator Novomatic Group expects to post record revenue for full-year 2018, said Harald Neumann, the firm’s chief executive. The gaming equipment supplier said that according to preliminary data, consolidated revenue for 2018 generated by its three holding companies rose to EUR5.0 billion (US$5.7 billion), up by 2 percent from the previous year. The figures were revealed during a press conference at the International Casino Exhibition (ICE) 2019 in London, Novomatic said in a press release this week. Novomatic Group includes three holding companies: Novomatic AG, ACE Casino Holding AG and Gryphon Invest AG. The group said it now owns stakes in 300 companies, with the economic contribution from approximately 220 of them consolidated in its balance sheet. “Following the strong growth of recent years, we will continue to focus on consolidation and increasing synergies between the companies in 2019,” said Mr Neumann in a statement in the release. 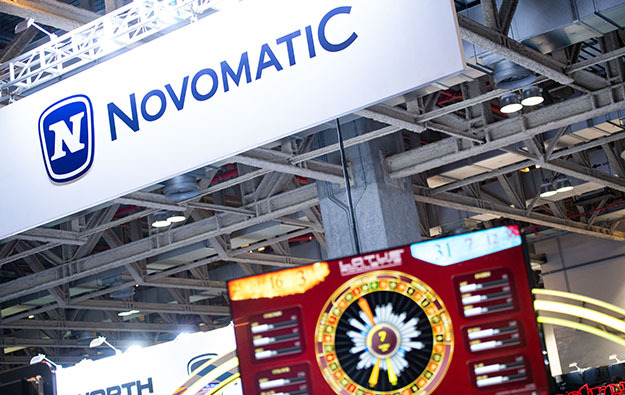 The Novomatic Group operates around 270,000 gaming devices and video lottery terminals in more than 2,100 outlets, including gaming parlours and casinos, according to the group. The company is active in several gaming segments around the world, including casino business, lotteries, sports betting, online gaming and mobile play. The group said it would focus on expanding its “core segments” of gaming technology and operations, as well as boosting its sports betting segment, particularly to the United States market. “Novomatic offers one of the most comprehensive product portfolios in the industry, enabling us to cover every segment of the industry,” said Mr Neumann as quoted in the release. “As a producer and operator of gaming technology, we have the opportunity to test and optimise new products in our own gaming establishments and in various markets,” he added. The Austrian supplier of gaming technology introduced a new electronic gaming machine cabinet called the V.I.P. Eagle III 3.32 at this year’s edition of ICE. A Novomatic spokesman told GGRAsia the V.I.P. Eagle III 3.32 would be available in Asia. Novomatic announced in November a consolidation strategy designed to “optimise internal processes and structures across international borders”. The company has expanded rapidly in recent years, including taking a 52-percent stake in Australian slot machine maker Ainsworth Game Technology Ltd.